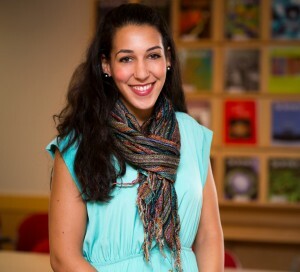 Dr. Nadia Abuelezam and a team of fellow researchers from Harvard have recently published a new peer-reviewed study in the American Journal of Epidemiology. 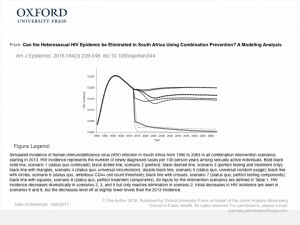 The work examines if the heterosexual HIV epidemic can be eliminated in South Africa using “combination prevention”. Using data such as the “simulated incidence of human immunodeficiency virus (HIV) infection in South Africa from 1990 to 2063 in all combination intervention scenarios, starting in 2013,” Nadia and other researchers created a statistical model which posits that it would be highly unlikely to eliminate HIV in South Africa over the next 50 years using the current course of action. This work is especially significant because, despite the decrease in HIV-related deaths in recent years, infection rates continue to rise at an alarming rate. The statistical model can be used to help scientists and policy makers make predictions about the efficacy of current methods and, they can formulate new strategies needed to “lead the way toward faster and more effective reductions in HIV incidence in South Africa”.